Inspired by the smell here in Beirut following the political geniuses Waste management cake sharing frenzy, i thought of sharing the waste collection and management system for Aquaprimoris. It is, in our humble opinion as engineers and scientists, quite easy to put in place an automated system for waste collection, separation and recycling at 90%. knowing that the swedes already accomplished that, the only hurdle remains in transportation and in how effective and efficient the process can be made. @ Aquaprimoris, every Primorian is responsible for the waste we produce. Therefore the waste is separated at the source. Every house, business, community kitchen… are equipped with automatic trash disposal outlets. There is nothing special bout that so far but the innovation is where the trash goes next. 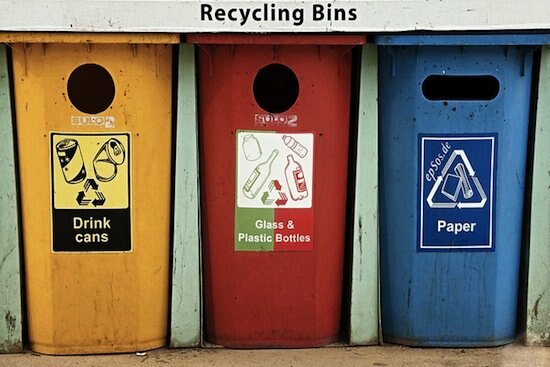 when you drop a plastic bottle or a carton box in the trash outlet, the item does not stay there, it drops underground to a conveyor belt that takes it straight to the recycling plant where it gets recycled over and over. Organic trash goes in another outlet and on a separate conveyor to the composting factory where it is transformed into manure by composting and reused in ground fertilization. the generated methane from the composting toilet is collected and used for energy generation. the remaining 10% of trash that does not fit in any of the recyclable categories are used to generate energy through burning in special furnaces. Considering that Aquaprimoris is built with modular and upgradable infrastructure right from the start, underground conveyors will be pre-built just like water management system of the power grid and communication grid… Such a system will ensure that Aquaprimoris will stay clean, healthy and waste free for generations to come. waste management will complete the resource management chain and the cycle restarts. but this is half of the story as on Aquaprimoris waste creation will be minimal. most of the waste in our current cities comes from the packaging for transportation,the over consumption and the inefficient management of resources. Plastics on Aquaprimoris will already be used in minimal quantities, cartons, polystyrene, Metals… will all be minimally used. only long life reusable products will be made and used and resources usage is carefully controlled therefore minimizing waste from the beginning of the cycle.